Ground-based solar astronomy is currently experiencing a Renaissance. A generation of 1m class solar telescopes, which has served the scientific community well for decades, is being replaced by new, large aperture solar telescopes. Adaptive optics has enabled routine diffraction limited observations of the solar atmosphere from ground based telescopes. The full scientific potential of large aperture optical and infrared telescopes equipped with state-of-the-art instrumentation can thus be realized. The size and complexity of these new telescope systems is immense and affordable and maintainable only as ground-based facilities. Large aperture solar telescopes are about to open up new windows for scientific advances and discovery. The new 1.6m NST at BBSO and the 1.5m GREGOR on Tenerife have already demonstrated the potential for advancing our knowledge of the physics of the solar atmosphere providing significantly improved resolution. The 4m Advanced Technology Solar Telescope (ATST) located on top of the 3000m Haleakala on Maui, HI, and currently under construction, as well as the 4m EST will enable solar astronomers to resolve solar magnetism on its intrinsic scales and thus make these telescopes the world's leading ground-based resource for studying solar magnetism that controls the solar wind, flares, coronal mass ejections and variability in the Sun's output. In November 2011, about 100 scientists, engineers and students met in Washington, DC for the 2nd ATST-EAST Workshop. 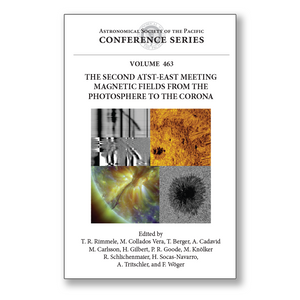 They emphasized the connectivity provided by solar magnetic fields of the classical atmospheric layers, photosphere, chromosphere and corona and the new capabilities large aperture solar telescopes will provide for measuring magnetic fields and their dynamic behavior. This volume captures the presentations given at the workshop.